One of Nigeria's leading airlines Dana Air, has reaffirmed its commitment to youth empowerment and professionalism in the aviation industry with her sponsorship of the first ever Cabin Crew Contest in Africa. 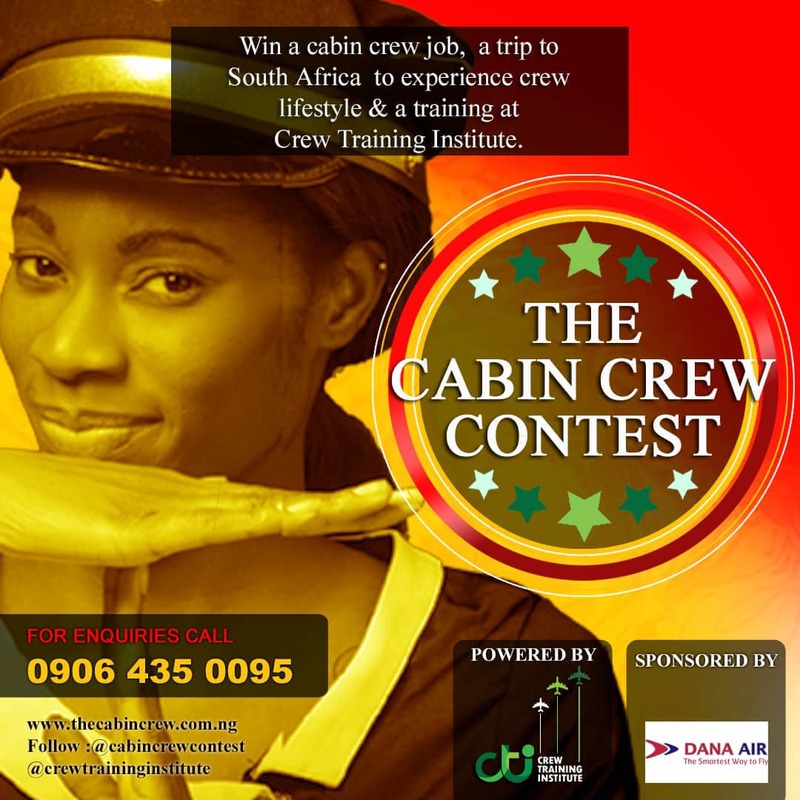 The Cabin Crew contest which is the first of its kind in sub Saharan Africa is an initiative of the Crew Training Institute (CTI), launched on the 18th of November, 2016 to train and impact prerequisite knowledge and soft skills needed for aspiring Cabin Crew. Katheryn explained that the initiative is a contest where cabin crew aspirants are put through a screening process to select the finest cabin crew talent who will emerge as "THE CABIN CREW". 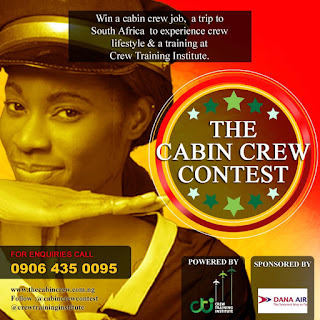 The winner wins a cabin crew job, a trip to South Africa to experience crew lifestyle and finishing school training at Crew Training Institute. Both males and females above 21 years, with an arm reach of 212cm while standing or on tiptoes can register. Candidates must be up to 5ft2 in height, must know how to swim and must be able to adapt to new places. Interested candidates are advised to visit www.cti.com.ng or call 090643500095 for details as auditions will be held on 1st of November 2018. Reputed for its innovative online products and services, world-class in-flight service and unrivaled on-time departures, Dana Air operates daily flights from Lagos to Abuja, Port Harcourt, Uyo and Owerri.